Readers like me trust Consumer Reports to provide objective, unbiased recommendations on products and services. That’s why I’m so disappointed in the September cover story, The dangers of painkillers. The story rails against two products –Zohyrdo ER and acetaminophen– yet fails to mention that what differentiates Zohydro ER is that it is the only extended release version of hydrocodone that doesn’t contain acetaminophen. The article urges readers to contact the FDA to ask that Zohydro ER be banned and acetaminophen be more tightly regulated. But Consumer Reports fails to inform us that Zohydro ER represents a partial solution to the problem of acetaminophen proliferation that Consumer Reports is so worried about. If I were at the FDA and someone called me to complain about Zohydro ER and acetaminophen on the same call I’d find it ironic, to say the least. Callers might be embarrassed when they realize they’ve been misinformed. 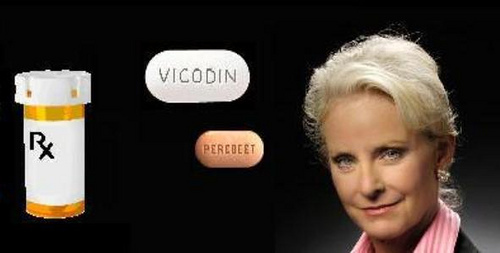 Zohyrdo ER’s direct competitors such as Vicodin contain hydrocodone and acetaminophen. Until Zohydro ER came along, hydrocodone users ended up taking acetaminophen whether they wanted it or not. Incredibly, according to a 2010 study cited by Zohydro ER’s manufacturer, “63 percent of unintentional acetaminophen overdoses [are] attributed to the use of hydrocodone-acetaminophen combination products.” How can Consumer Reports have overlooked this? There are legitimate complaints about Zohydro ER. The biggest is that it’s not tamper resistant, and is thus prone to abuse. Fair enough. But there are other narcotic painkillers on the market –like generic Opana ER– that are also not tamper resistant. And without getting into the details, it’s not all that hard to tamper with tamper resistant products. I’m not saying Consumer Reports is necessarily wrong to want painkillers restricted. But I just can’t understand why an article that hits acetaminophen so hard wouldn’t mention that it’s the absence of acetaminophen that makes Zohydro ER different.